Many companies have raised their minimum wages in recent years in order to compete for better talent. But one company is taking that concept to a whole new level. Dan Price, founder of Gravity Payments, recently announced to his employees that the company is raising its minimum annual salary to $70,000. So even the lowest paid clerks and customer service reps will be able to earn a sizable paycheck. Potentially even more surprising — the money to pay for the raises is coming mainly from the CEO himself. Price said he plans to reduce his own salary from just under $1 million to $70,000. The company will also use some of its profits from the last year to pay for the raises. But Price plans to keep his salary low until those profits are paid back. 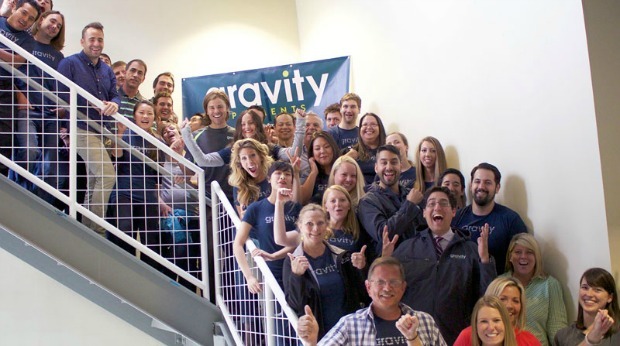 Gravity Payments currently has about 120 staff members. And according to a company spokesperson, about 70 of them will receive raises thanks to this new initiative. And about 30 will see their paychecks effectively double. It all started when Price read an article about happiness. The article stated, for people who make under $70,000 a year, any extra money can make a big difference in their lives. Price didn’t like the idea of his employees being unhappy because of a lack of money. And he also felt that happier employees could lead to more productive workers and thus, better outcomes for his company. The raises haven’t gone into effect just yet, so there aren’t any numbers to back up Price’s hypothesis. But the logic is solid. Employees who earn more are more likely to feel satisfied at work and thus likely to do a better job. This initiative, while costly for Price, could ultimately earn the company higher profits. Not every company can afford to pay every employee $70,000 a year. But the issue of employee pay can make a big difference in the lives of workers. So it should also be a big deal to business owners and CEOs who want more productive staff members.